This tale is a beginning chapter book set in the Caribbean. Deanna and her Aunt Sandy are spending part of their summer vacation at their grandmother’s farm in the bush. The girls work in the mornings doing chores like collecting eggs, feeding the pigs and picking peas. While the rest of the day contains free time, there are few modern conveniences like television and radio. Grandma has warned them not to stay out after dark or play with Molly. This young neighbor seems to have a knack for getting into trouble. 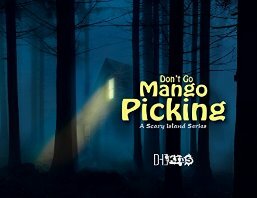 Of course one day when no one is around, Molly persuades the girls to sneak into Mr. Forhan’s yard to pick the mangoes off his trees. What happens when the girls encounter a Lagahoo? What is a Lagahoo, you ask? Read this short chapter book to find out. This story is under forty pages and contains some unique black and white illustrations. 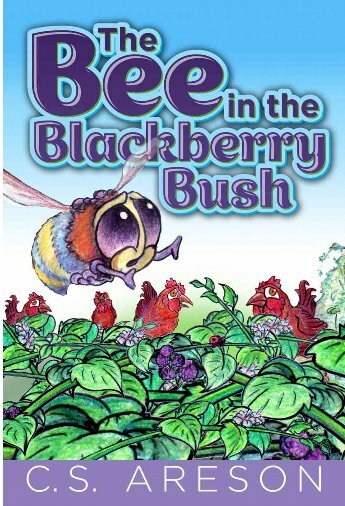 The setting, simple text and unusual story line combine to offer an interesting adventure story for the beginning or reluctant reader. Recommended especially for children in the six to eight age range. I received a copy of this book and voluntarily decided to review for no compensation with my honest opinions. Dottie is an adorable dog who lives with Mindy, a University of Arkansas student, and her cat Mindy. About a year before, Mindy had seen Dottie’s picture online and had driven all the way to Oklahoma to adopt her. One Saturday, Mindy decides to take Dottie for a walk on the Razorback Greenway Trail. That decision would begin an adventure Dottie would never forget. When a bike rider inadvertently loosens Dottie’s leash, she decides spontaneously to run away. Dottie rationalizes that she will be home before dark. 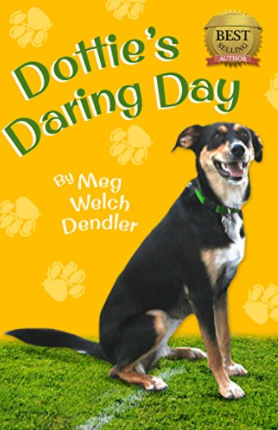 Dottie meets a raccoon, a hog, and a seeing eye dog, to name a few travelers along the way. She is frightened and scared, but like a rebellious teenager, her curiosity and love of freedom spur her on. Then Dottie finds herself at a football game. Will she ever be reunited with Mindy? This animal adventure tale is told in first person. The dialogue is amusing and feels genuine. While the story is marketed for ages three and older, the book is really appropriate for a middle grade and young adult audience. Dendler includes a glossary to assist younger readers with some of the more difficult vocabulary. A few photos enhance the appeal. MAYBE ONE STEP BACKWARD…. MY APOLOGIES! My computer crashed and I have been down 2 1/1 days. So this post and everything else is late! 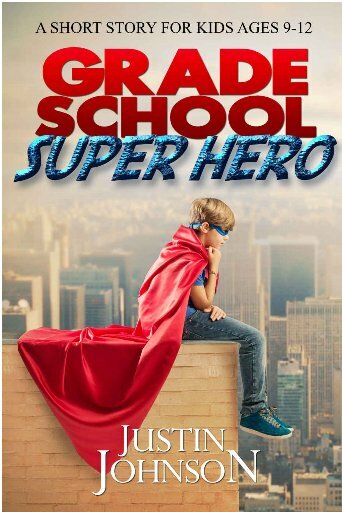 The primary focus in this book is to teach parents, teachers, and community leaders how to foster resilience in the early stages in life so that children can develop their full potential. 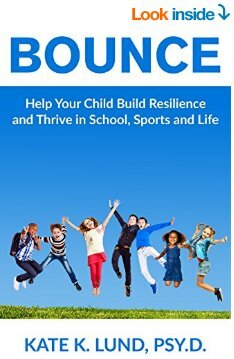 Children need to learn how to bounce back from misfortune and adversity in order to continue to move forward and ultimately achieve maximum potential. Young people must develop a tool box of coping skills to manage their frustrations and emotions. Lund presents seven pillars including navigating friendships and social pressures, sustaining focus and attention skills, developing courage, the motivation to succeed, and a spirit of confidence that will lead to optimism and continued forward momentum. The author bases her book on her own personal experiences in overcoming challenges and studies of elementary school children as a psychologist for the past fifteen years. Lund includes a short autobiography and a list of resources for further study at the conclusion of her book. I would recommend this book to parents and teachers as well as anyone interested in developing the full potential of society’s future leaders. Hubert is a hologram in a video game being shot toward the moon. He misses the mark and finds himself in heaven instead. The Grand Master of the Transition works with newly arrived angels, assigning them tasks to achieve before earning their wings. Hubert depends on his computer. He finds himself a failure painting rainbows because he enhances the colors. The Grand Master patiently assigns Hubert a new task, that of choir director, but computer generated music from earth does not cut it in heaven. Hubert is given another job, the very important one of shining up the stars and preparing the Star of Bethlehem for Christmas. This results in the greatest failure of all. Will Hubert ever find his unique talent? 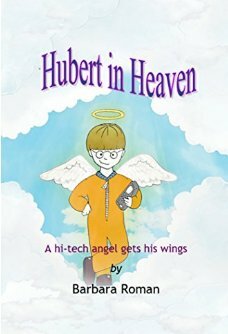 Can he learn to fit in with the human inhabitants of heaven? This book is a quick read. There are a few illustrations to assist younger children in following the tale and its lessons, but the story is more suited to middle grade readers. It serves as a reminder that each person possesses unique talents, if he is willing to work hard to develop them. The author reminds readers of what can be accomplished without computers; sometimes pulling the plug is not a bad idea. Charming beginning chapter book presenting Christian values of the responsibility to help others even if it means placing the needs of others before oneself. The protagonist is an adorable worker bee who has no name as do all the others in his hive because each has a job to do. This bee is quite dedicated and industrious. One day he learns of nectar in a blackberry patch and almost loses his life to an observant chicken. The bee encounters a sad mother bird who has lost her mate and has no one to watch over her nest while she searches for food. The bee takes on the job of protector, while completing his own worker bee assignments. One day he faces danger while protecting one of the hatchlings. He must make a difficult choice. How far must one go in carrying out his sense of duty? Soft pastel illustrations enhance the mood and message of the tale. While the story is slow moving in parts, the characters are endearing and realistic; the message sometimes uplifting but also sad. Recommended especially for readers in the seven to ten year- old age range. 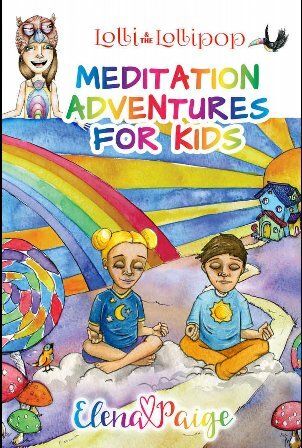 An interesting book that teaches children how to use meditation to relax. In this first book, Lolli transports her readers to the Land of Color in three separate stories. These stories can be used as bedtime stories or as a teaching guide to meditation for kids. In the first story, Lolli introduces herself; she brings her readers to a crystal cave where they discover a shiny magic gem. Children who are sad, confused or lonely can find solace in the “land of polka dot undies.” Lolli guides her readers back to her own house in the land of color in the final story, which allows children to create in their minds their unique vision of a comfortable home. The illustrations enhance a child’s ability to imagine the setting. The author targets the audience as ages four through eleven. Some younger children may succeed, but I believe most children in the eight to eleven age range will be more successful with this approach. Parents and teachers could use this book at bedtime or as a group meditation tool.